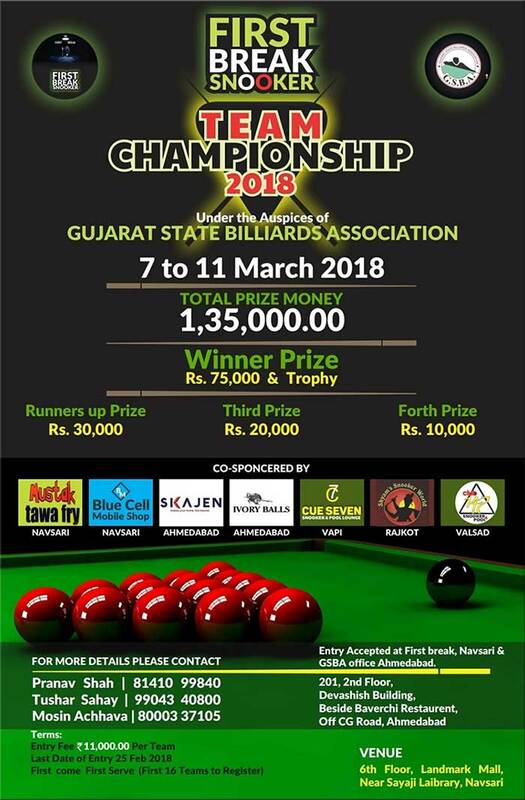 NB: This tournament is being organized by First Break Pool and Snooker, Gujarat and has nothing to do with Cue Sports India. 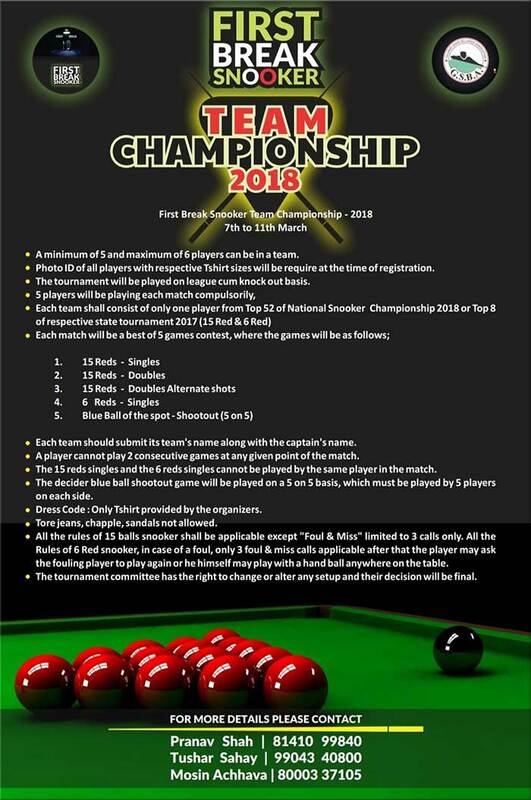 This site is only sharing information about the tournament with interested participants/spectators/fans of cue sports on request from First Break Pool and Snooker, Gujarat. Website will not be liable for any direct or indirect loss arising from the use of this information and the material contained in this website. However, information is as available with this website and is requested to verify the information before you act upon it by calling the concerned one.